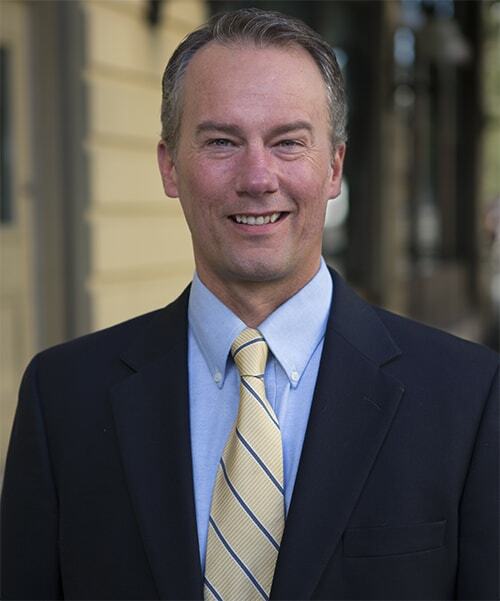 Patrick W. Harwood has over 17 years of experience litigating a variety of cases as the lead attorney in jury trials, bench trials, and multi-day arbitration proceedings. Pat also represents clients in state and federal appellate courts, including the Supreme Court of the United States of America. Pat’s litigation practice focuses on representing both plaintiffs and defendants in personal injury, accidental death, premises liability, product liability, insurance disputes, and insurance defense. He also maintains an active practice in the areas of estate planning, probate, business formation and transactions, and the purchase and sale of small businesses. Western Washington University, B.S. in Biology, 1997. Gonzaga University School of Law, J.D., with honors, 2000. Former board of director for a regional community action council providing services for low income families. Washington State Bar Association - commendation for over 300 hours of pro bono service on behalf of clients who would otherwise be deprived of legal representation. Pat seeks opportunities to help others in both his professional and private life. For several years he has volunteered as a leader in a local Boy Scout troop educating youth on the importance of service in the community and how to safely enjoy the great outdoors. Pat and his family enjoy skiing, fishing, hunting, and backpacking in our nearby lakes and mountain ranges. Obtained seven-figure settlement for client permanently injured when his vehicle was rear-ended by a drunk driver. Obtained $560,000 settlement for client struck by a vehicle while walking in a crosswalk. Successfully defended attorney/trustee from tort claims and alleged breach of fiduciary duties. Claims were dismissed on summary judgment. Client was awarded in excess of $25,000 in attorney fees and costs. Trial court’s decision was affirmed on appeal. Successfully defended client in disputed liability mandatory arbitration. Defense award. Successfully defended client in arbitration regarding allocation of liability for injuries occurring at large apartment complex. Client was found to have zero liability for cause of injuries. Successfully defended client in trial from adverse mandatory arbitration award. Client was represented by prior counsel in an arbitration hearing where plaintiff was awarded an amount near the jurisdictional limits. Substituted as lead trial counsel. Plaintiff sought an award of damages near six figures. Jury verdict for $5,000, which was less than one third of the plaintiff’s claimed economic damages.